MADGE Inc | We research the food system to allow people to choose food that is good for those who eat it, grow it, produce and sell it. With each bite we take and each meal we make, we have the opportunity to shape the world around us in powerful ways. Our site is to help you know what's happening to our food and let you decide what to eat. MADGE videos are a quick introduction expecially scientist Dr Michael Antoniou explaining the health risks of GMO and glyphosate, Medical Doctor Michelle Perro talking about the harm to children and Moms Across America's Zen Honeycutt showing how she helped her family's health drastically improve. New GM techniques are being pushed by stealth and are likely to escape regulation. See box on top right on how to take action. will take us further down the dead end of toxic agriculture. Deregulation is happening by stealth now via several reviews into food and farming. There is virtually no public discussion taking place despite the importance of this for our health, economy and future. Please take action. Here is our article on why we don't need the new GM. 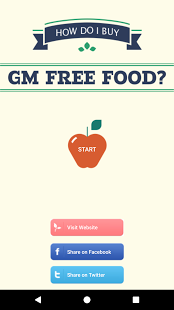 Here is our submission on new GM in food. Email us at info@madge.org.au if you want to be more involved. Thanks. We are working with Friends of the Earth who have done excellent reports for those who want more detailed info.